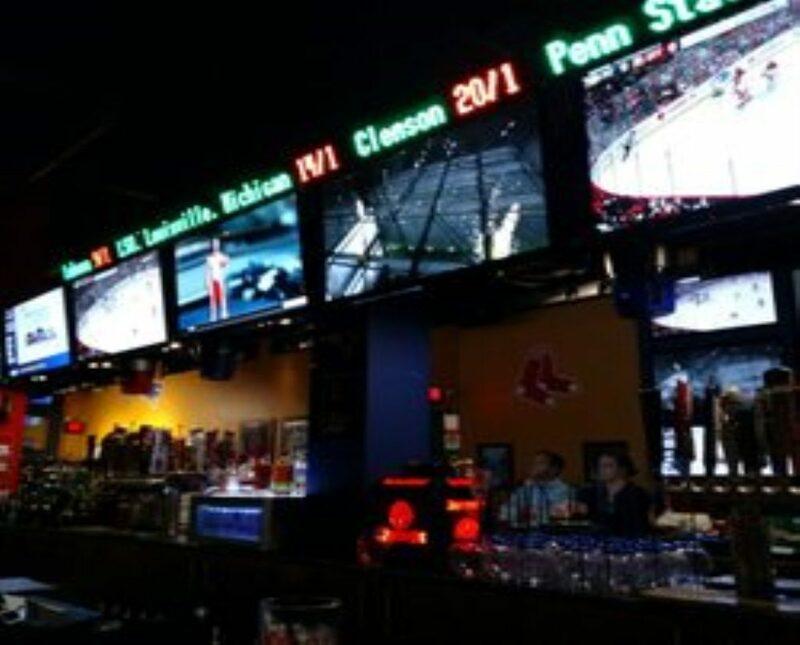 Imanages Lakes Region Casino and other gaming facilities in many jurisdictions. It is currently the owner of the Bingo Palace in Piedmont, Alabama – the largest bingo hall in the United States. 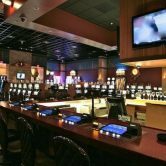 It also owns Elite Gaming, which has facilities in Turks and Caicos, as well as a 25% stake in Carib Gaming, a Caribbean-based slot route. Potts Gaming, LLC is proud to host charitable gaming operated by Casablanca Casino, LLC at Lakes Region Casino. 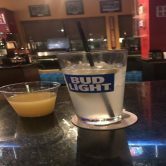 There is something for everyone when you walk into Lakes Region Casino. 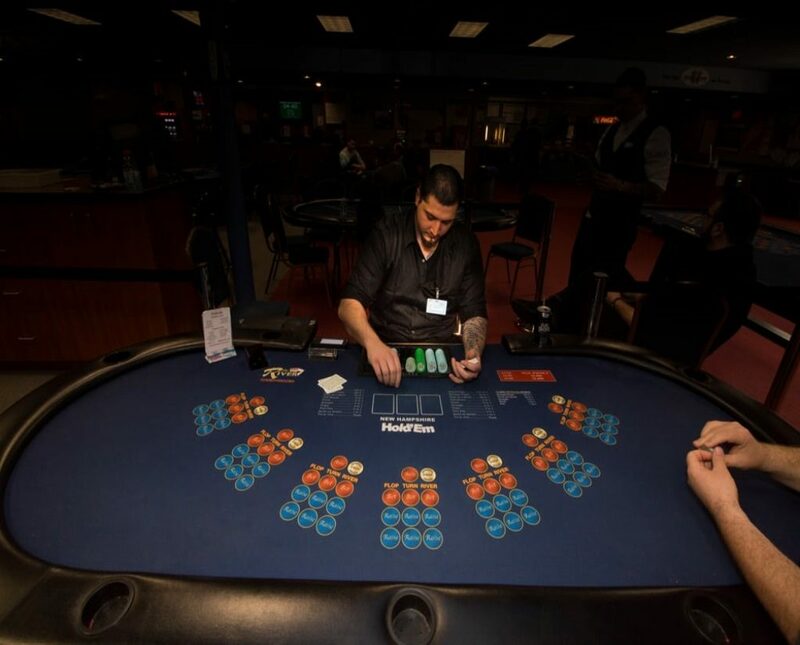 Every day we have Texas Hold’em Tournaments & Unlimited Table Stakes Cash Poker Games. 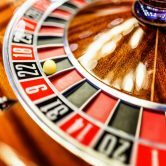 Try your luck with a throw of the dice at the Craps table or take a spin on our Roulette Wheel. CRAPS IS OPEN ON FRIDAY AND SATURDAYS ONLY. 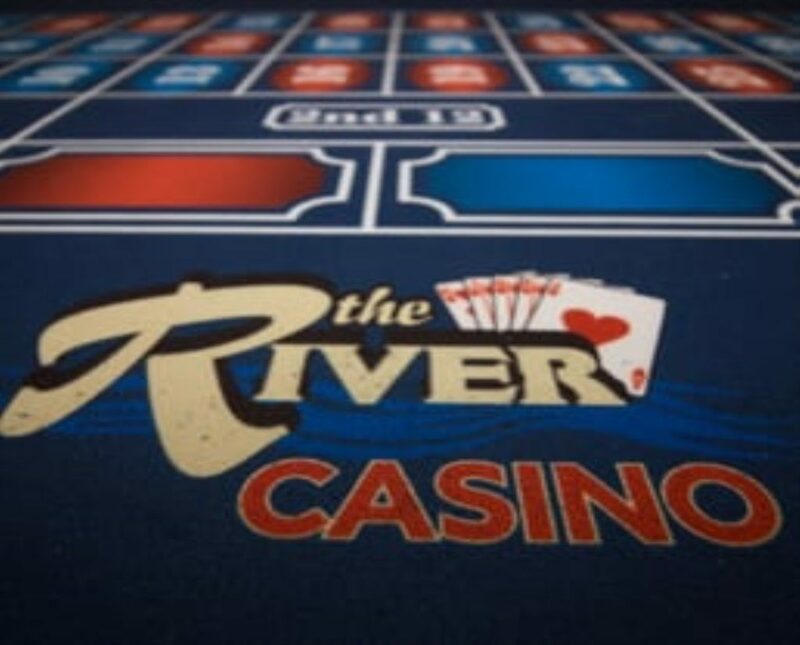 We have Blackjack, Blackjack Bonus, Three Card Poker, NH Hold’em, Flop 22, and more. We offer BINGO 4 days a week. Thursday & Friday doors open at 2pm games start at 6pm. Saturday & Sunday doors open at noon and games start at 2pm. Along side of BINGO we offer Electronic Pull Tab Machines! 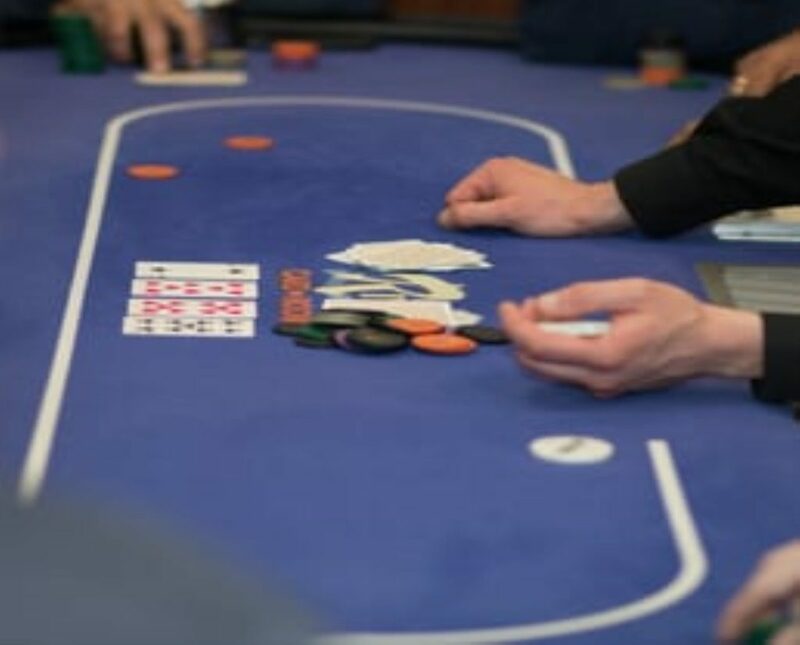 In our Poker Room you will find daily scheduled tournaments, with more possible if the players so choose. From $10 rolls to BIG Stacks we do our best to please your taste. So stop on by, get in on a game. You can’t win if you don’t play! New Hampshire HOLD’EM New Hampshire Hold’em is a five-card poker game that lets you bet up to 10 units on a single hand. 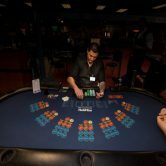 In New Hampshire Hold’em you compete against a paytable, not against the dealer, and you win if your hand is a pair of Jacks or better (pairs of 7s-10s push). The top payout is 250-1 for a Royal Flush – and it pays on all bets up to $2000! Getting Started Make an Ante bet to receive your first two cards. The dealer will place three community cards face down in the middle of the layout. Play or Fold? At this point, you may either fold or make the Flop bet with an optional raise and re-raise. The dealer then reveals the first community card. Once you see the first community card, you have a choice: fold or make the Turn bet with an optional raise and re-raise. The dealer then reveals the second community card. 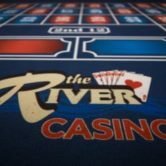 Once again, you can fold or stay in the game by making the River bet with an optional raise and re-raise. Note: When you fold, you forfeit all bets left in action. Wining and Losing After the Dealer turns over the final community card, he resolves all wagers left in action. You win if your five-card hand is a pair of Jacks or better (pairs of 7s – 10s push). See paytable on layout for odds. 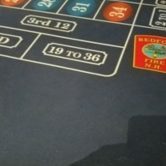 The objective of black jack is to get a hand totaling more than the dealer’s without going over 21. If you go over 21 you “bust” and you lose. Cards with a number (2-10) are counted at their listed value. Face cards (Jack, Queen, King) have a value of ten. Ace’s may have a value of either one or ten, whichever is more beneficial to the hand. For example a hand with a five and an ace would be either 16 or 6. The player could hit for another card without fear of busting. If a ten is dealt the ace become a 1 and the hand is worth 16. If another five is dealt the ace would be an elven and the hand would be worth 21. Starting the game each player is dealt two cards, with the dealer being dealt one card face up and one face down. After the cards are dealt the dealer will ask each player for a decision. 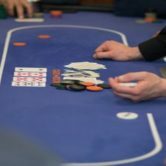 The player left of the dealer decides first. ♠ Hit – To take a hit means you want another card. To signal the dealer for a hit tap the table in front of you or make a beckoning motion. You may hit as many times as you wish. ♠ Standing– Once you are happy with your hand, wave your hands over top of the cards to signfy you wish no more cards. ♠ Double Down– Once you have been dealt your first two cards you may choose to double your bet. You can double down on any two cards, or after a split. 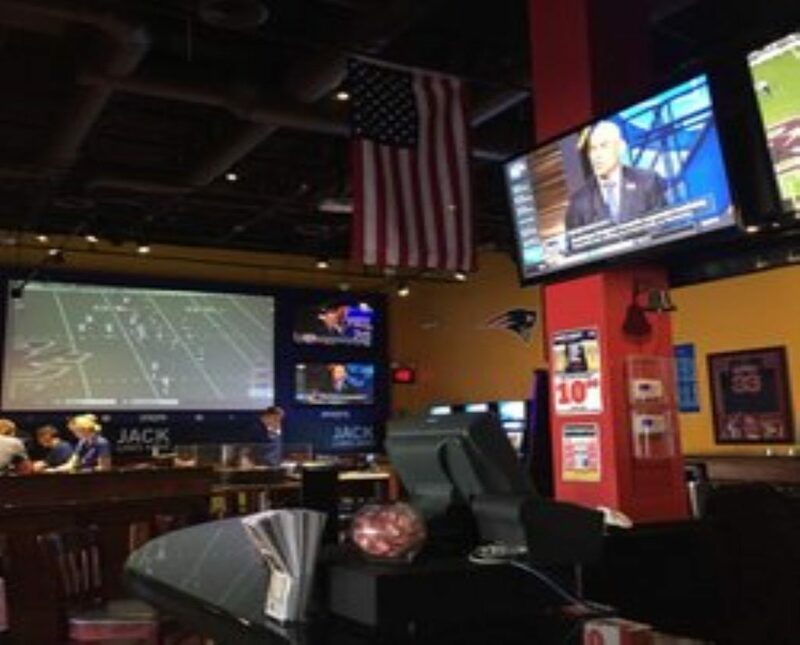 To signal a double down place the additional wager next to your original. ♠ Splitting – If you are dealt a pair (two cards of same value) you may choose to split them into two seperate hands. You signal by placing your second bet next to the first. The dealer will then deal a second card next to your first split. You can then play out this hand as normal. Once the first hand is done you will move to the second half of the split. ♠ Insurance – If the dealer’s up card is an ace the dealer will offer insurance. This is a side bet in which you wager half your original bet that the dealer has a ten in the hole. 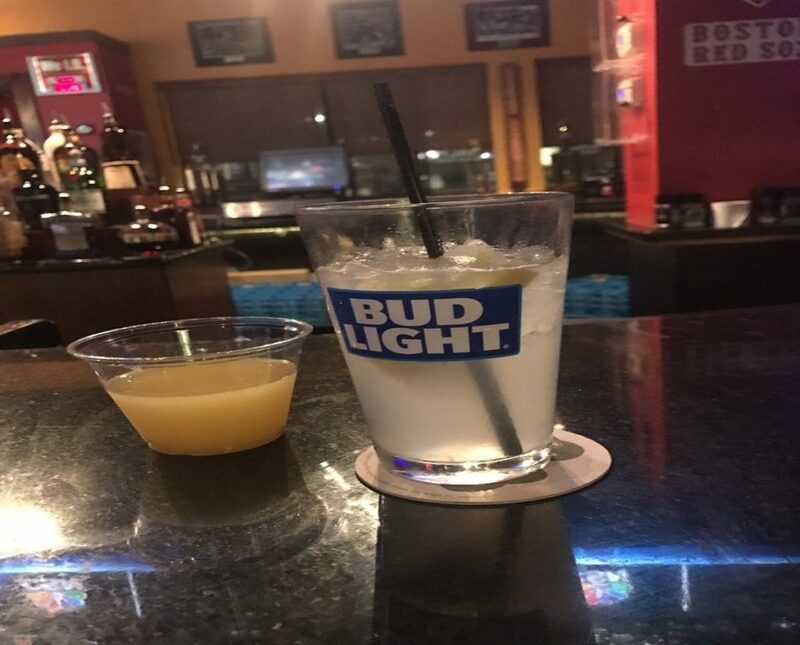 This bet pays 2 to 1 if the dealer has a ten. 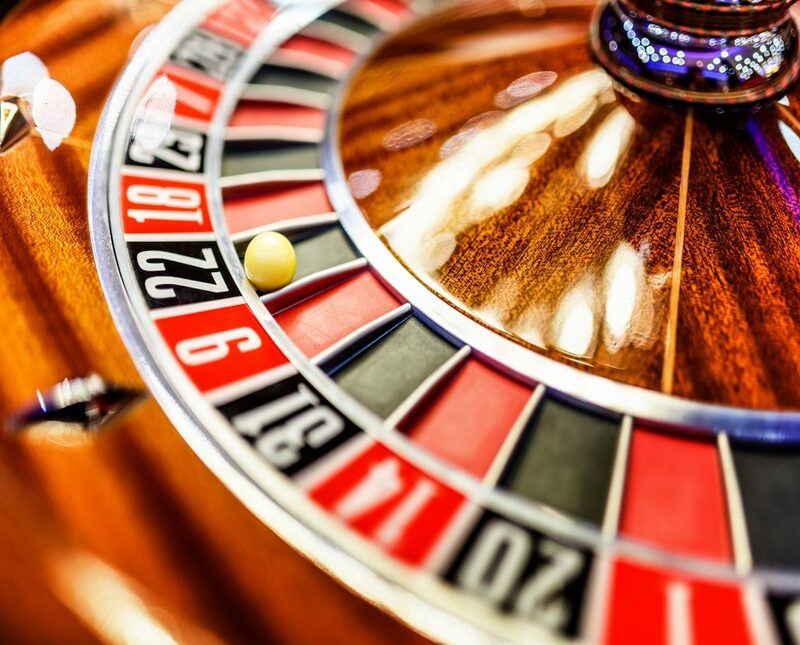 The object of roulette is to pick which number the ball in the wheel will land on. 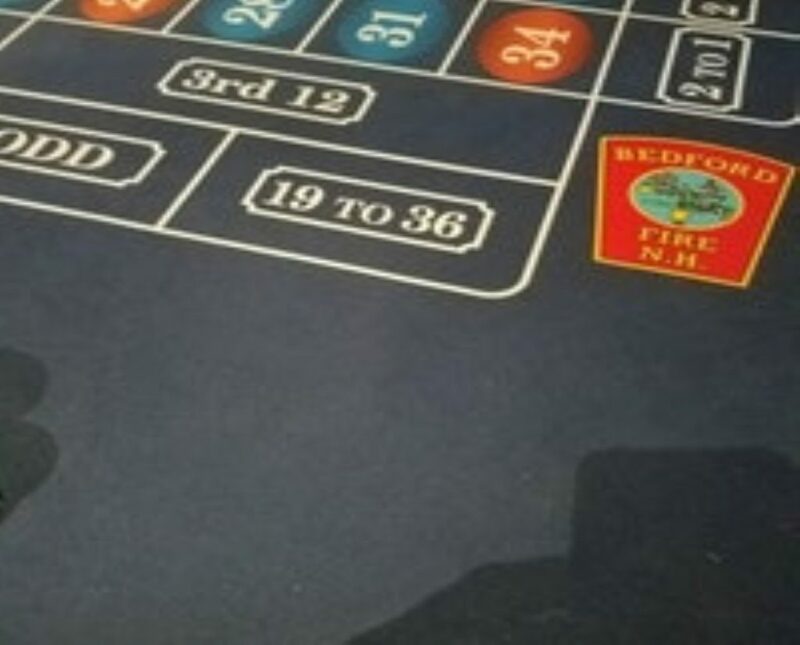 Roulette wheels have 38 numbers (00 and 0-36). These numbers are arranged into tweleve rows of three numbers, making three columns. 0 and 00 reside at the top of these columns. When at the table the dealer must keep the wheel spinning at all times. The ball is spun in the opposite direction the wheel is spinning, causing it to jump and spin before landing on a number. You may place a wager at any point up until the dealer calls to stop bets and waves their hand over the table. After the ball has stopped the dealer will mark the winning number on the layout, clear any non-winning bets and then payout the winners. You cannot place a new wager until the dealer has removed the marker. 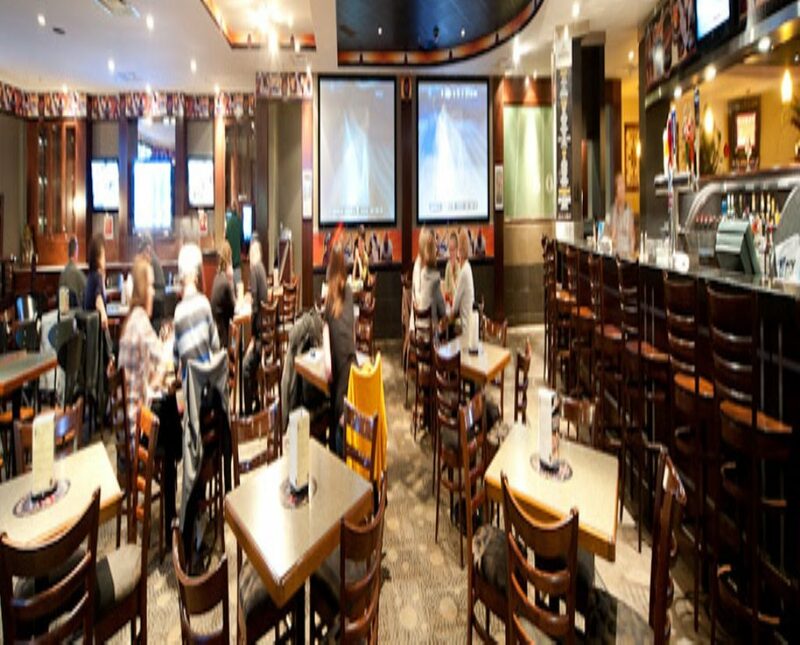 You can make a bet on a singular number or a variety of different combination wagers. The different types of wagers and payouts are as follows: Straight Up (33 to 1) – This is a wager on a single number. Simply place your chip(s) on the number of your choice. Split Bet (16 to 1) – A wager on any two numbers. Place your chip(s) so that they straddle the line between two numbers. Line Bet (10 to 1) – A wager on any one line of numbers (1-3,4-6, etc..). You make this bet by placing your chip(s) so that it straddles the outside line of the first number in the row. Corner Bet (7-1) – This wager includes four numbers. This bet is made by placing your chip(s) on the lines where four numbers touch. First Five (5-1) – Includes 0, 00, 1, 2 and 3. You can make this wager by placing your chip(s) on the line where 0,00 and 2 meet. 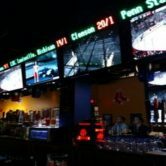 Double Line (4-1) – A wager on two neighboring lines (1-6,4-9, etc..). Make this bet by placing your chip on the outside line so that it lays on both lines you wish to bet. Dozen bet (2-1) – You can choose one of three sets of twelve numbers on the board (1-12, 13-24 or 25-36). Simply place your chip(s) in the box marked as such. Column bet (2-1) – As above this is a twelve number bet, this time it is the vertical columns. 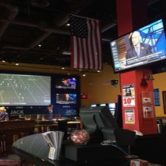 To make this bet place your chip(s) in the box at the end of the column you wish to play. Red, Black, Odd and Even (1-1) – All of these are “even” money bets. Place your wager in the box provided for the corresponding wager. 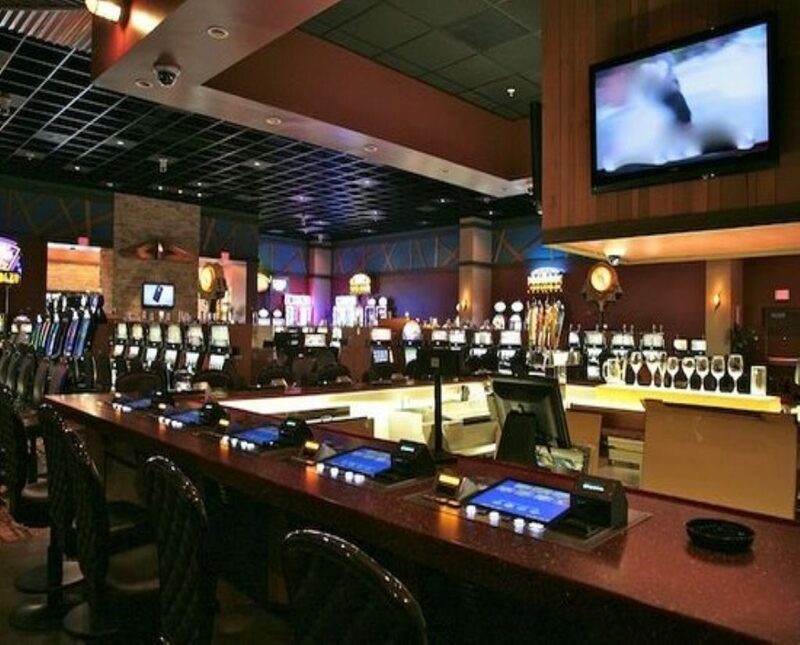 Slots, table games, poker & bingo rooms at an intimate casino with a bar & restaurant.